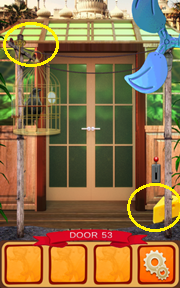 Pick up the cheese on the floor and key on top of the bird cage. 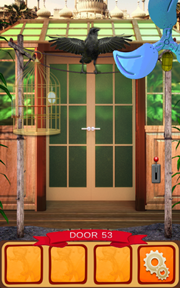 Use the key on the bird cage. Give the cheese to the bird. Pull the lever.